The 2018 Palm Beach Cardinals won 75 games, which is the second-most in team history. Manager Dann Bilardello’s Beach Birds won the Florida State League South Division’s first half-season, securing a spot in the playoffs for the second straight year. In that first half, Palm Beach compiled a 39-25 record to edge out the Jupiter Hammerheads in the standings by of a game. With a lot of the first-half roster having moved on Double-A Springfield, the Cardinals struggled to win at the same pace that made them the best team in their division in the months prior. Still, Palm Beach remained over .500 with a second-half record of 36-33 and finished with the best overall record in the South Division. The playoffs were a short endeavor for the Cardinals, as they lost a pair games to the second-half division champion Fort Myers Miracle. Both games finished with a 3-1 score in the Miracle’s favor, eliminating Palm Beach from the postseason. The FSL is a full-season league. The 140-game regular-season schedule began on April 5 and concluded on September 2. The 12-team league is made up of two six-team divisions with the Cardinals placed in the South. Each team was to play division opponents 10 times at home and 10 away. That meant the Cards’ schedule included 20 games each against the Bradenton Marauders (PIT), Jupiter Hammerheads (MIA), St. Lucie Mets, Fort Myers Miracle (MIN) and Charlotte Stone Crabs (TB). The rest of the schedule was filled out against North Division foes Daytona (CIN), Clearwater (PHI), Florida (ATL), Lakeland (DET), Tampa (NYY) and Dunedin (TOR). However, because of the frequent rain in Florida, no FSL team got in a full slate of games. The league ranged from a low of 130 to a high of 137. Palm Beach was in the middle at 133 contests played. The Cardinals were essentially the same team at both home and on the road. In Roger Dean Stadium, Palm Beach went 38-26 as the home team, whereas their road record was 37-22. After losing on Opening Day against the Jupiter Hammerheads, the Cardinals reeled of nine wins in their next 12 contests to start the season 9-4. A four-game losing streak after that hot start pushed the Cards within a game of .500 but were able to close out the month with a 13-11 record. Summertime was in full swing in South Florida by May, with thunderstorms a persistent hindrance to playing baseball. The Cardinals managed to play 24 games in May, with eight others postponed or cancelled due to the rainy weather. Palm Beach hit their stride as a team though, putting together a 15-9 month. In June, the Cards picked up right where they left off in May and won 11 of their 15 games before the All-Star Break. The Cardinals were well represented at the Florida State League All-Star Game, with eight players named to the South All-Star team. Palm Beach only had to play two more games after the break before the first-half season ended. While they lost both games to the Daytona Tortugas, they still finished with the best record in the Florida State League South Division, which clinched a playoff berth. In the last eight games the Cardinals played in June, which counted toward their second half standings, Palm Beach went 5-3. The wheels started to come off for Palm Beach in July, as they lost seven of their first nine games. The Cardinals righted the ship to go .500 in their last 20 games of the month but finished with their first losing month of the season at 12-17. This slide during July coincided with the promotion of Palm Beach’s first half All-Stars to Double-A Springfield. After a dreadful July, the Cardinals found their winning ways once again with a 10-5 start to their last month of the season. Overall, Palm Beach went 18-12 in August. The Beach Birds offense really came alive to end the season, averaging 4.7 runs per game. They eclipsed six runs or more 14 times in 30 games played and scored 10 or more runs three times. Palm Beach split their last two regular season games against the Lakeland Flying Tigers, finishing their second half with a record of 36-33. Due to winning the first half, Palm Beach was given the privilege of choosing whether to play Game 1 of their three-game playoff series at home or playing Games 2 and 3 at home. They chose the latter, but the series would never make it to a third game, with the Cards falling to the Fort Myers Miracle in two straight. The starting pitching for the Cardinals was excellent to start the season, which led to them winning their division in the first half. As the season wore on though, and almost all of the starting pitchers were promoted to Double-A, the team’s pitching stats continued to decline across the board. By the end of the year, Palm Beach was no longer one of the best pitching staffs in the Florida State League, but rather one that was in the middle of the pack. The team ERA of 3.62 ranked sixth in the Florida State League, while their 1,059 strikeouts ranked fourth and 74 home runs allowed ranked sixth. One area where Cardinals pitching really struggled was walks, with the fourth-most issued. The Cardinals offense was above-average all season, finishing in the top half of the league in almost all major categories. The only place the Cards were not among the top teams in the league was in stolen bases. Palm Beach was last in the league in steals all season, finishing with 55, 11 shy of the next closest team. In every other offensive category, except strikeouts, the Cardinals fell between fourth and sixth among the other teams in the Florida State League. The Beach Birds were best at not striking out, as they finished with fewer strikeouts than all but two teams. 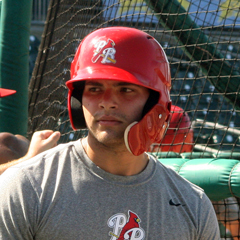 The Beach Birds were one of three teams to have a fielding percentage over .980, with their 96 errors the third-best mark in the Florida State League. Not only were the Cardinals not great at stealing bases but they were also not great at controlling the run game either. By throwing out just 28% of runners, Palm Beach tied two other teams for the second-worst clip in the league. The Cardinals had great defensive play at first base, which was not at all surprising, When Stefan Trosclair was on the field, he is regarded as an exceptional fielder. What was a shock is that Juan Yepez made just one error and turned 32 double plays while playing first base. Yepez was a third baseman but was moved to first base to hide is glove and now it seems like his glove could be an asset. Kramer Robertson was on the field more than any other player with his 119 games played at shortstop and in turn led the team in errors with 18 for a .961 fielding percentage. At the start of the year, the core of the Beach Bird lineup included slugger Johan Mieses, Andy Young and the sweet-hitting third baseman Evan Mendoza. 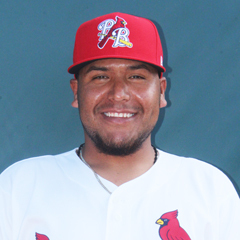 Mendoza was the first one to get the call up to Double-A (May 18), with both Mieses (June 28) and Young (July 21) making their way up to Double-A as well. TCN top 20 prospect Dylan Carlson was promoted to Palm Beach early in the season and ended up playing 99 games, the third most of any player on the roster. Another highly-touted outfield prospect who joined the Beach Birds mid-season was Conner Capel, who at the trade deadline was acquired from the Cleveland Indians and was optioned to Palm Beach. Finally, both Elehuris Montero and Scott Hurst made late season appearances with the Cards after moving up from Peoria, and each hit very well, showcasing why they are featured in TCN’s top 50. The starting rotation that began the season in Palm Beach, with the exception of Ian Oxnevad, were all promoted to at least Double-A Springfield and were collectively the Cardinals most impressive unit. Among those promoted were Anthony Shew (May 22), Austin Warner (June 23), Evan Kruczynski (July 27) and Casey Meisner (July 27). Warner actually earned a second promotion and finished his season in Triple-A with the Memphis Redbirds. Jake Walsh was an in-season addition to Palm Beach’s rotation, called to fill the spot left by Anthony Shew. Walsh was great, picking up were Shew left off, pitching to a 2.24 ERA in 16 starts. Jesus Cruz was another notable pitcher, as he started the season coming out of the bullpen and really struggled to throw strikes. 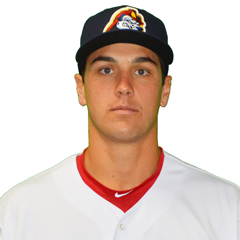 Cruz was demoted to the Peoria Chiefs, stretched out as a starter then returned later in the year to pitch amazingly well out of the rotation. Kramer Robertson played the entire season with the Palm Beach Cardinals and showed to be adept at scoring runs as a table-setter. 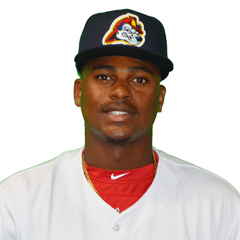 Robertson fell one run shy of the Florida State League lead with his 74 runs scored. Dylan Carlson really showed patience at the plate, which will be key as his power develops more and pitchers start to pitch around him. The outfielder finished seventh in walks among all Florida State League players with 52 walks in 99 games played. Though he did not pitch enough innings to be considered for the ERA title, Jake Walsh’s 2.24 ERA was the same as the leader Spenser Watkins of the Lakeland Flying Tigers. 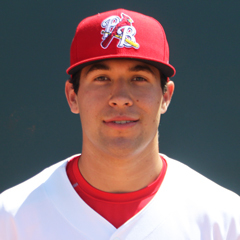 Evan Mendoza’s time spent with Palm Beach was brief, as he racked in 37 games played earning a promotion to Double-A. Among players with at least 100 at-bats, the third baseman led the team with his .349 batting average. Andy Young topped the Cards in home runs with 12, as the second baseman homered once every 25 at-bats. 19-year-old Dylan Carlson cemented himself as the team’s best run-producer as the season wore on. Carlson led the team in runs batted in with 53 and finished second in runs scored to Kramer Robertson with 63. While pitcher won-loss records are no longer considered that important by experts, Jesus Cruz’ 6-0 record looks great as the flame-thrower was a real surprise coming out of the rotation at the end of the season. Cruz won just one game less than team leaders Ian Oxnevad and Jake Walsh and paced the team in strikeouts with 85. Those strikeouts in 68 2/3 innings pitched gave Cruz an excellent K/9 rate of 11.22. 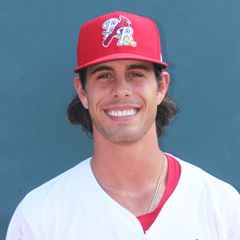 Anthony Shew made eight starts for Palm Beach before earning a promotion to Double-A. He was fantastic while with the Cards, with a 2.11 ERA. Jake Walsh was another starter with a stingy ERA of 2.24 in 17 games pitched. An honorable mention in ERA is Colton Thomson, whose 1.36 ERA was the lowest of all bullpen pitchers who spent considerable team with Palm Beach. Among the end-of-season Beach Birds ranked in the most recent monthly top 50 prospect list compiled by The Cardinal Nation are four position players and one pitcher. Third baseman Elehuris Montero was the highest ranked player coming in at #11, with outfielders Dylan Carlson (#16), Conner Capel (#17) and Scott Hurst (#40) all behind him. The one pitcher ranked in the Top 50 is Alex Fagalde who was the #43 prospect. First baseman Juan Yepez and starting pitchers Jake Walsh and Ian Oxnevad all were listed as honorable mentions. In recognition of them having been the Florida State League Co-Champions in 2017, the entire Palm Beach coaching staff made the trip to Tampa – and they brought plenty of players with them. Will Latcham, Austin Warner, Evan Kruczynski, Jose Godoy, Johan Mieses and Andy Young all went to Tampa while Anthony Shew and Evan Mendoza were All-Stars who had already been promoted. 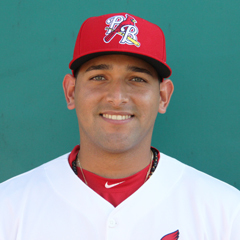 All eight of the Cardinals All-Stars spent a portion of their season with the Springfield Cardinals, with Godoy the only player still on Palm Beach’s roster at the end of the season. Young, Latcham and Warner all finished their 2018 at Triple-A with the Memphis Redbirds. Post-season all-star honors, which are more elite, were given to just one Cardinal, Young. 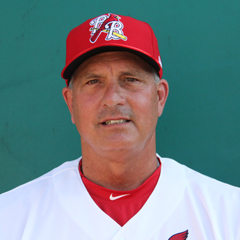 In addition, Bilardello was named FSL Manager of the Year. With the proximity to the Cardinals rehab facility in Jupiter, notable major league pitchers made rehab appearances for the Beach Birds. They included starters Adam Wainwright and Michael Wacha, along with relievers Greg Holland and Luke Gregerson. St. Louis did not send any position players to Palm Beach this season for rehab. While the season ended on a disappointing note, with Palm Beach being bounced from the playoffs in two games, it was still a very successful season overall. The 75 games that they won was tied for the second-most in franchise history. With elite starting pitching, the Cards were the Florida State League South Division first-half champions. Going 75-58 (.564) overall, the Beach Birds had the best winning percentage of any team in the entire Florida State League. Link to master article with all 2018 award winners, team recaps and article schedules for the remainder of this series. Of course, that will include our selections as the Palm Beach Cardinals Reliever, Starting Pitcher and Player of the Year. Contact Ryan Finkelstein at rf2kf2@outlook.com. Follow him on Twitter @FinkelsteinRyan.